Following the world premiere’s “rapturous reception” (The Washington Post), the Grammy-nominated smash hit makes its West Coast debut at McCaw Hall! Go behind the headlines for a “visually stunning” (ABQ Journal) examination of a flawed and hugely influential figure. When faced with his mortality, the visionary Apple co-founder revisits 18 of his most important memories in search of a perfect moment to take with him. Mason Bates’ dazzling score features a glossy mix of lyrical and rhythmic music, combining traditional and electronic instrumentation. 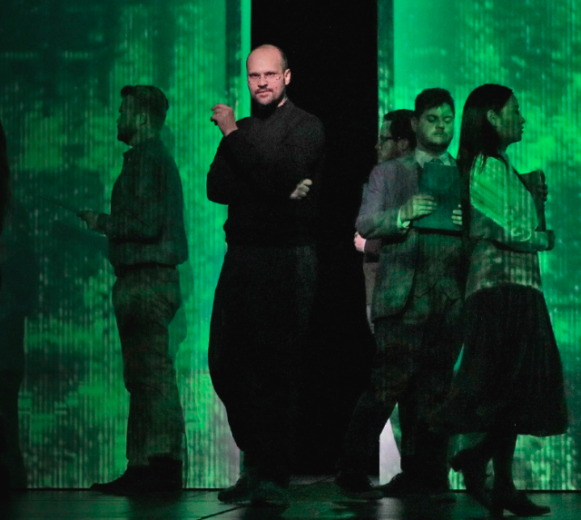 Mark Campbell’s compelling, funny, and touching libretto draws on universal themes of human communication and connection in its respectful yet unflinching depiction of Jobs’ innovative ideas and troublesome truths.